I have so many great memories from Easters past. One of my favorite things about the holiday is being able to put together an Easter basket filled with goodies for my daughter every year. She is 21 years old now and I still look forward to making her annual basket! 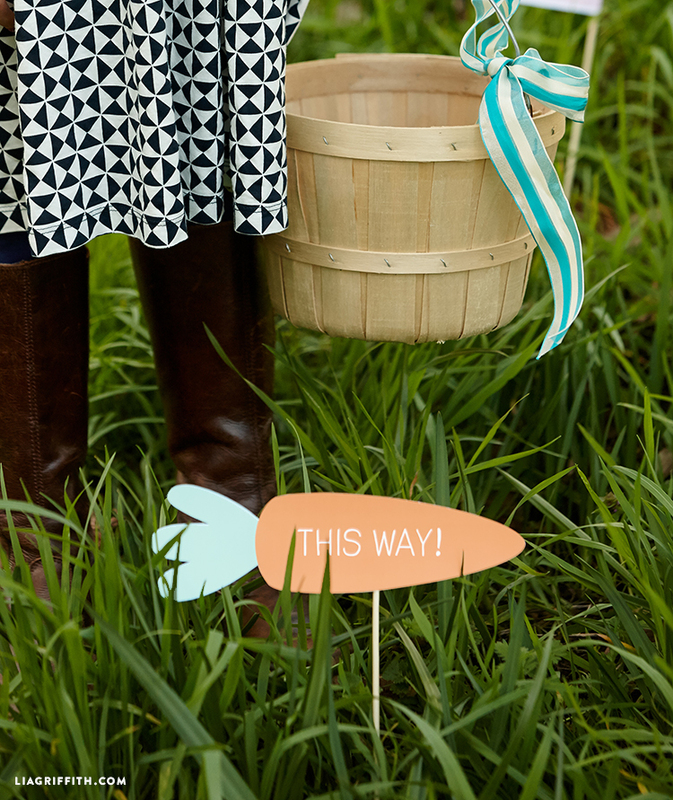 I would fill the basket with toys and candies, and then I would hide eggs in the backyard. 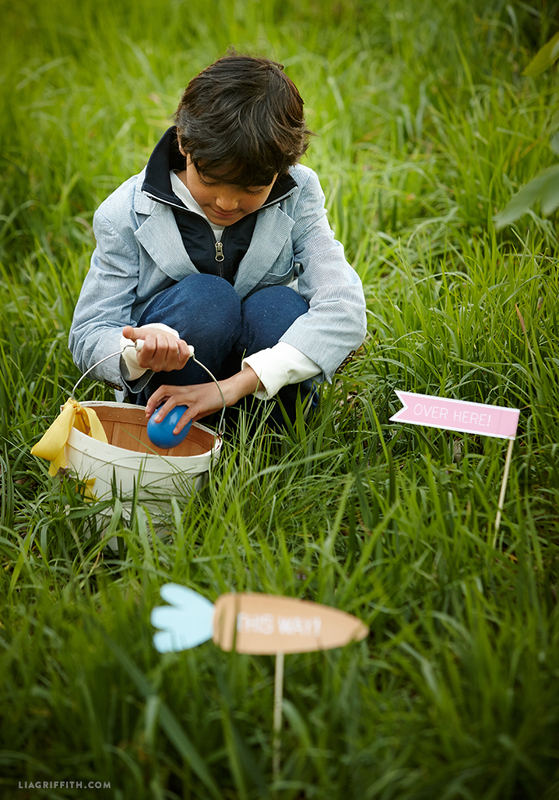 After she would go through her goodies in the morning, it was always so exciting watching her use her Easter basket for gathering eggs. 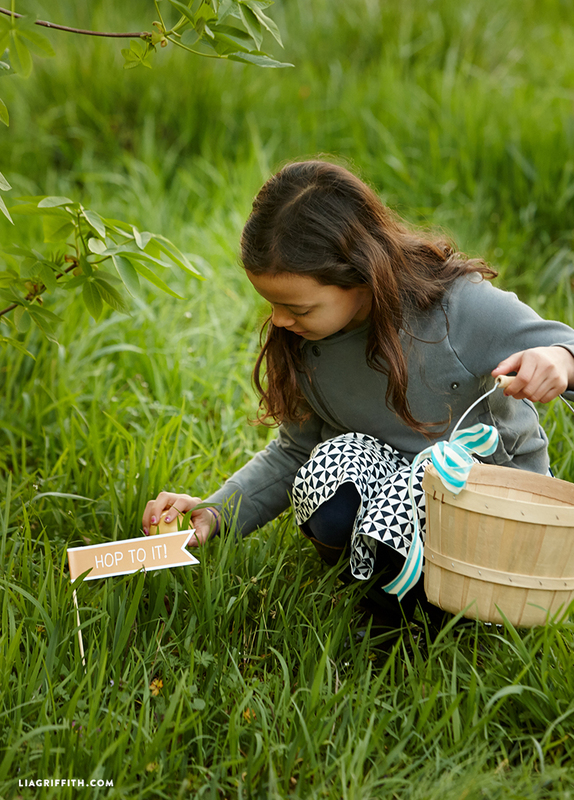 To help you set up your own Easter egg hunt, we designed this set of printables to place around your backyard or your local park! 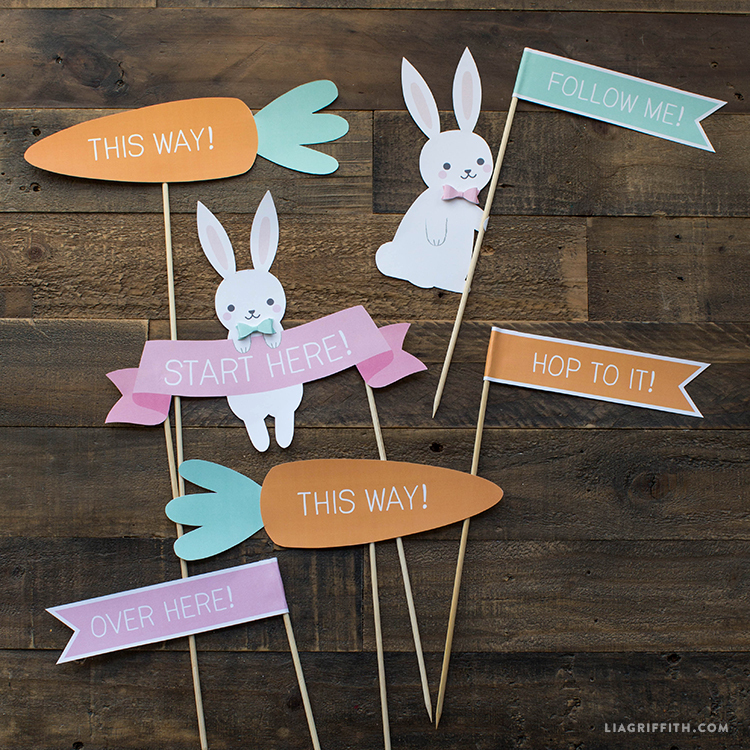 Our Easter egg hunt set includes directional signs that read “This Way!” and “Hop To It!”, as well as a “Start Here” banner with the same adorable Easter bunny illustrations as our Easter treat bags and Hoppy Easter card. Start by downloading the PDF file below. 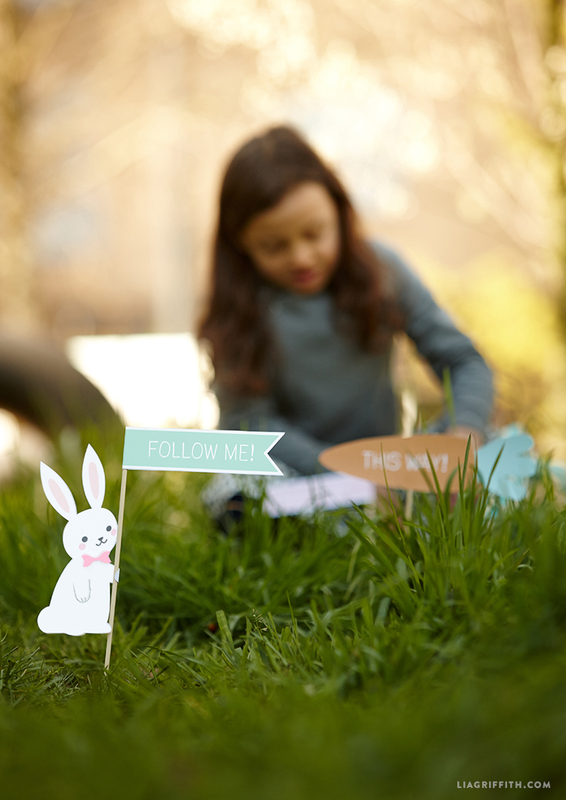 Print the designs onto white card stock so that they will stay sturdy when you place them outside. Cut them out and use a bit of hot glue to attach them to wooden dowels or skewers. This will make it easy to stick the signs into the grass! 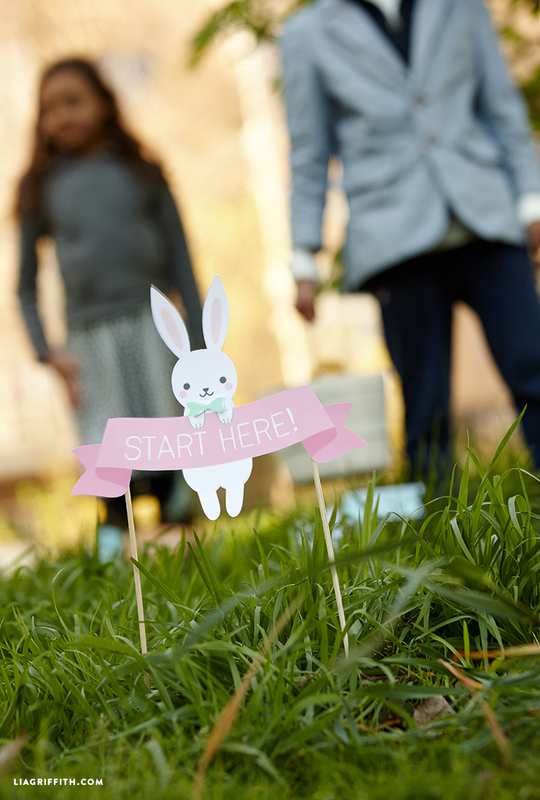 When you download the file you will notice that the bunnies each come with a cute little bow tie that you can add to your signs. To assemble the bow, refer back to the technique from this post.